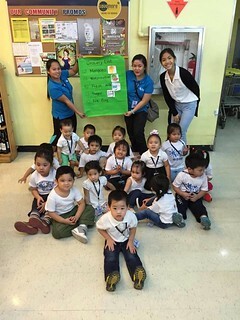 Last September 17, to further our learning about food and the places where food come from, the Preschool A went grocery shopping at the Savemore Supermarket! During our exposure trip, we brought along our big grocery list, an eco-bag and heaps of curiosity. 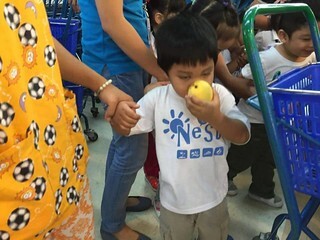 At the supermarket, we were on a mission to purchase mangoes, watermelon, sugar, milk, and ice bag which will be used for our fruit shake activity. 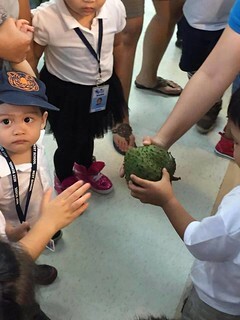 Looking for mangoes and watermelon was a simple task for the preschoolers since those are already familiar fruits and it was easy to spot them at the fruits section near the entrance. While looking for the remaining items on our list, the students took the chance to explore other food items using our sense of sight, touch and smell. We could not contain our excitement as we were smelling and feeling the various fruits we saw in each basket. From time to time, Teacher asked someone to place a grocery item on our grocery cart. We also took turns in ticking off the items on the list. 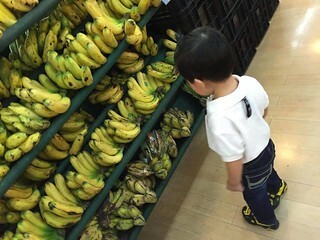 Inside the supermarket, there were a number of the fascinating things! The shrimps, the live catfish, Kinder JOY, and a freezer full of ice cream gallons all caught our attention. When teacher pointed to the ice cream gallon and asked “Are we going to buy that?”, we replied “No” all together. Thanks to our big grocery list, we were reminded of the five things we needed to buy. Our supermarket trip also allowed us to meet some community helpers like the cashier, the security guard and sales attendant. 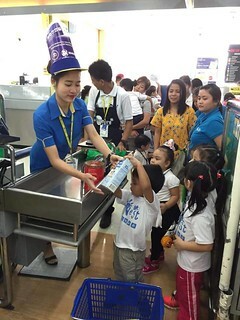 We concluded our short tour around the supermarket by lining up at the cashier’s counter and handing food items to Miss Cashier. 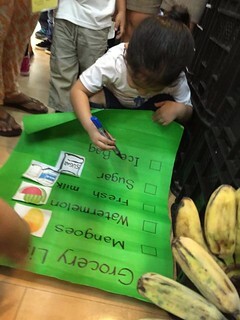 Indeed, shopping at the supermarket can really be fun and easy when you have a shopping list and tons of shopping buddies with you. We are very much looking forward to more class exposure trips in the coming months.